The Psalmist implies that there comes a time when God may not be found. A time when God may hide Himself. It is a time that I believe may have begun in America. Our nation is in a mess. Why? Could it be because America is losing God’s blessing? And His favor? Could our sin be provoking His judgment? Judgment that is not necessarily in the form of a nuclear dirty bomb, or in another ISIS attack, or in an economic collapse. But in a Romans 1 judgment that is described as “the wrath of God being revealed against all the godlessness and wickedness of men who suppress the truth by their wickedness”…and God is backing out of our national life and turning us over to ourselves. In the Old Testament, God moved in judgment on His own beloved nation of Judah. Interestingly, His judgment of Judah was a 22-year process. God moved very slowly, giving plenty of opportunity for Judah to repent of her sin, to turn to Him, and therefore to escape the inevitable judgment. But with all of God’s warnings, Judah became even more defiant. More disobedient. Even more wicked. She insisted on her right to immorality and idolatry. In the end, God became her enemy. He sent in the Babylonian army to destroy Jerusalem, the temple, and all the people. 2 Chronicles 36:15-19 vividly describes how all those who were not taken captive were slaughtered in the streets. God always warns a nation that judgment is coming. He does not want any to perish. But if a nation does not heed His warnings, then He will unleash His anger and there is nothing—no one—who can prevent it. If God would judge His own beloved nation of Judah, why would we think America could escape? So… if we are coming under the judgment of God – if He is giving us over to ourselves, removing His blessing, protection, and favor – the solution will not be found in politics or in the economy or in the military or in technology. The only solution will be found on our knees as we humble ourselves, pray, seek God’s face, and repent of our sin. And then plead for Him to return to us, as we return to Him. Now is the time to get serious about repentance and prayer. When Ezra led a great revival in Judah, the people stood in the pouring rain for three days repenting of their sin. (Ezra 10:9) I wonder…had God made it hard on His people to test the seriousness of their repentance? God promises: You will seek me and find me when you seek me with all your heart. (Jeremiah 29:13) There can be no casual, half-hearted turning to God—not if we want Him to return to us. God emphasizes this principle in Joel 2:12-14: ‘Even now’, declares the Lord, ‘return to me with all your heart, with fasting and weeping and mourning.’ Rend your heart and not your garments…Who knows? He may turn and have pity and leave behind a blessing. Some of the prayers and calls for repentance that I have heard within the church or at prayer events seem to be a rending of garments. An outward show to impress. Often the pleading seems to be contrived and hollow, instead of broken-hearted and contrite. Only God knows those who are rending their hearts as they seek Him. 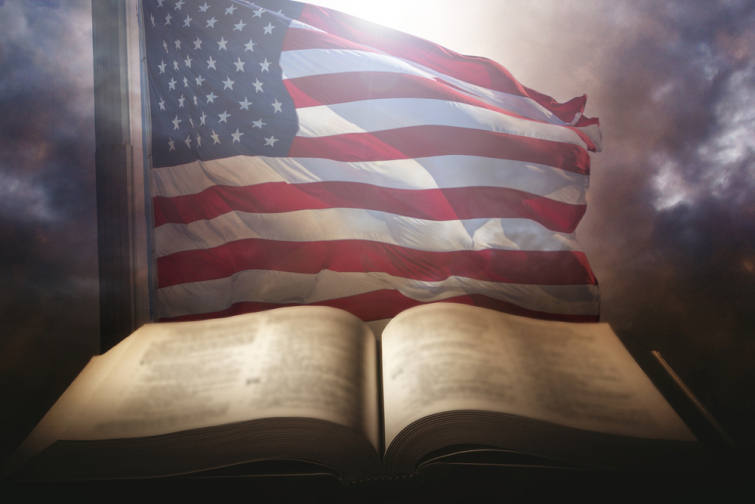 But I am led to ask myself…how truly serious am I about seeking God on behalf of our nation? When was the last time I fasted and wept and mourned and confessed the sin of our nation as though it were my own? I believe the future of America hangs on the answer to that question. Anne Graham Lotz has proclaimed God’s Word worldwide for more than 30 years. Her latest book, The Daniel Prayer and the accompanying video Bible Study, is available from major booksellers.